An “upscale pub-type bar” where “guys in tweed caps and briar pipes in mouths at angles” spend “all day on a pint of warm stout” • a.k.a. Ryle’s Tavern • which hosts “Gender-Dysphoric Night every second Wednesday” • where Poor Tony and Susan T. Cheese meet the Antitois • where Marathe and Kate Gompert meet for a cathartic drinking session • cf. 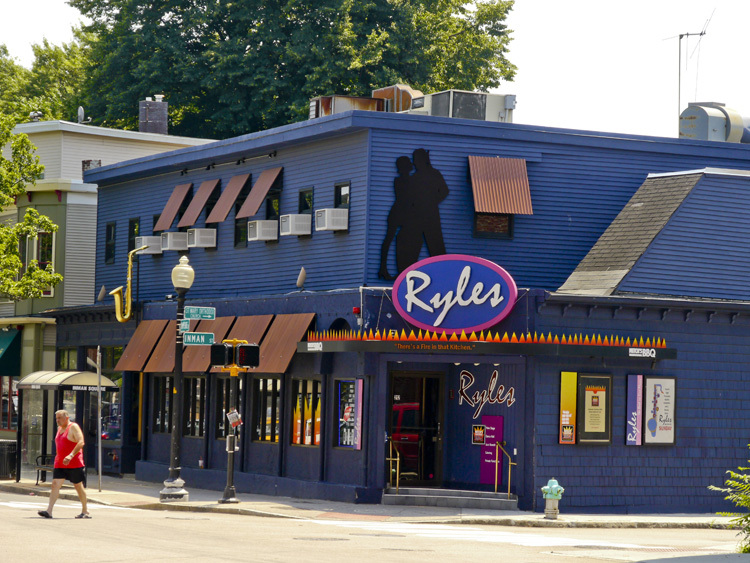 Ryles Jazz Club.